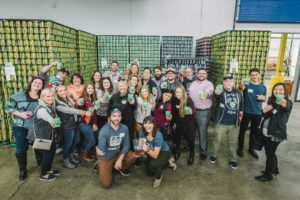 Welcome to​ ​Cincinnati​ ​Craft Connection Brewery​ ​and Distillery​ ​Tours! We offer fun, educational tours of Cincinnati​ ​and Northern Kentucky's​ ​best craft breweries​ ​and distilleries​. 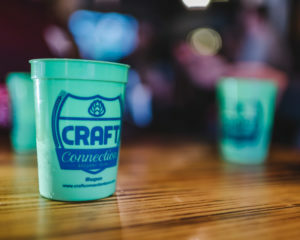 ​Enjoy the most ​unique ​Tour​ ​Experience where we take YOU to the breweries​ ​and distilleries in a clean, comfortable bus, take YOU on​ ​production​ ​tours, and bring YOU all the beer​ ​and spirits!​ ​Cincinnati Craft Connection is the most highly respected Tour Agency in the area because our Tour Guides are knowledgeable, fun, AND personable. 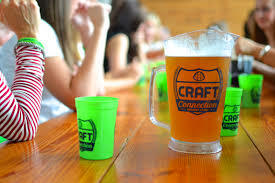 You will not only get to taste these delicious beverages, you will learn and have fun too! You can catch one of our upcoming scheduled tours or book your next personal group tour right here. So, get hopping! Get it?! See what we did there?! 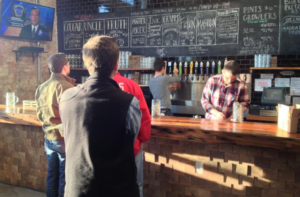 What is a Cincinnati Brewery Tour? 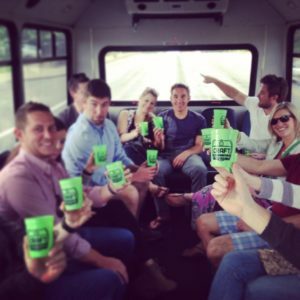 Craft Brewery Tours and Beer Tastings in Cincinnati and Dayton – #Hopon our tour bus today and enjoy one of our brewery tours today! © 2016 Craft Connection, LLC. All Rights Reserved. Refund Policy: Refunds are granted only for cancellations occurring prior to 72 hours of scheduled tour, and if tour is cancelled by Craft Connection. 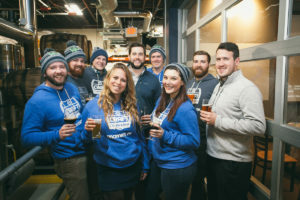 Tours may be cancelled at the discretion of Craft Connection due to harsh or severe weather resulting in unfavorable and unsafe road conditions.